I know that the comparisons between the War on Terror in Iraq and the Vietnam War have been silent for a while now, but as a history student with an interest in war, I feel that America is about to create another Vietnam. Now, lets get this straight. The war in Iraq is being fought in a different way, the technology and strategy are not the same, and the culture is vastly different than the one America faced in Vietnam. However, actions by some Americans run the risk of turning this into a Vietnam for my generation. Let us start with the basics. 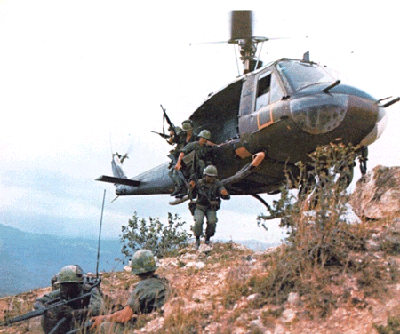 In Vietnam, the U.S. ground forces were fighting a successful war, against a Communist insurrection, up until 1968. After 1968, when the Tet Offensive had been stopped and pushed back, the Viet Cong virtually ceased to exist as a fighting force. Also after 1968, the vast majority of troops fighting against the American and Republic of South Vietnam (ARVN) troops were in all actuality PAVN (Peoples Army of North Vietnam); soldiers that had been infiltrated down the Ho Chi Min trail. Still, US and ARVN soldiers continued to take the fight to the enemy and continued to win. 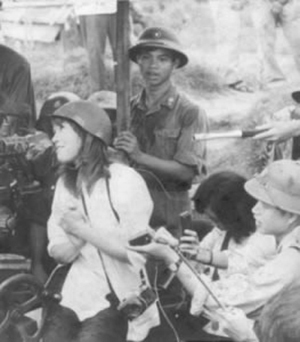 What was actually the undoing of the American war effort in South Vietnam was the subversion of America interests through North Vietnamese propaganda, and by American subversives, such as “Hanoi Jane” Fonda. The Americans who protested against the Vietnam War created an atmosphere of hope for the North Vietnamese government. They knew that if they kept up the pressure, many Americans would grow tired of the war and would push for a withdrawal before the job was done. These American traitors, along with the misguided hippies, created a divided America that increased political pressure on the President until he was forced to do exactly what the North Vietnamese Government wanted: withdraw American troops from South Vietnam. This led to total collapse a few years later when North Vietnam broke the peace treaty and invaded the South. In Iraq today, we see a similar situation where the insurgents and Al-Qaeda are being driven into the ground; and similarly some American politicians and other misguided citizens are urging for the early withdrawal of troops from the region. If we follow the advise of these fools, we will create a new Vietnam; one in which the United States will have withdrawn its forces to early from a country which, while being on the path to a completed reconstruction, is not there yet. And, if America does withdraw to early, there is the very real risk for a collapse of the system and the decent into chaos or the establishment of a government which could easily be just as evil as the one that we just deposed. As my final, historically-modeled thought on Iraq, I would say that the politicians advocating the setting of timetables for U.S. troops withdrawal and benchmarks for the Iraqi government to meet, really need to pay heed to history. After all, Union troops were in the South for 12 years during the reconstruction process following the American Civil War, Japan was occupied for 7 years after World War II, and it took many years for Germany to become reconstructed (45 years … if you want to count the time from separation to reunification). So the idea of applying benchmarks to be met on a certain timetable is a recipe for disaster. History shows us that it may take quite a few years to fully reconstruct a stable Iraqi state. Previous PostColor Blind Elections Anyone?Next PostUT Concealed-Carry, Howard Dean … and Oscar Who? I am impressed by your fair and balanced reporting of the political news. I plan to link to your blog in hopes that many will find in your words the truth about the wickedness of Liberalism.